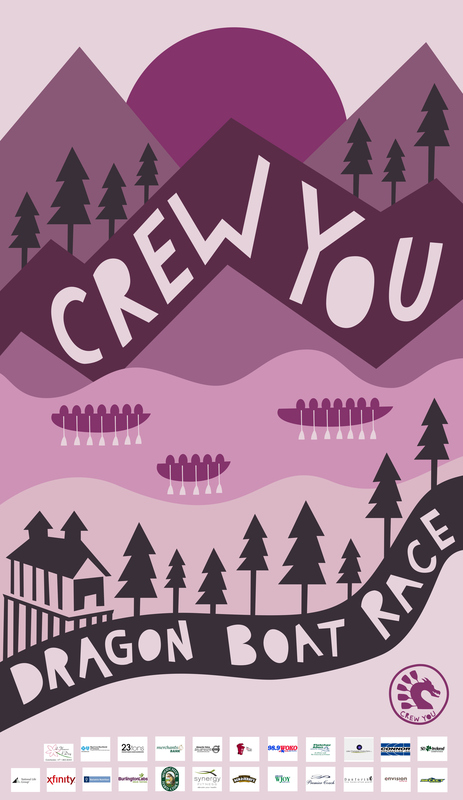 Poster I created to support the Dragon Boat Races in Burlington Vermont. Kelliher Samets & Volk (KSV) is the team I advertised. KSV named their team Crew You and participated in this festival to help raise awareness for Breast Cancer. has 1,600 lively participents each year racing 41 foot long dragon boats.